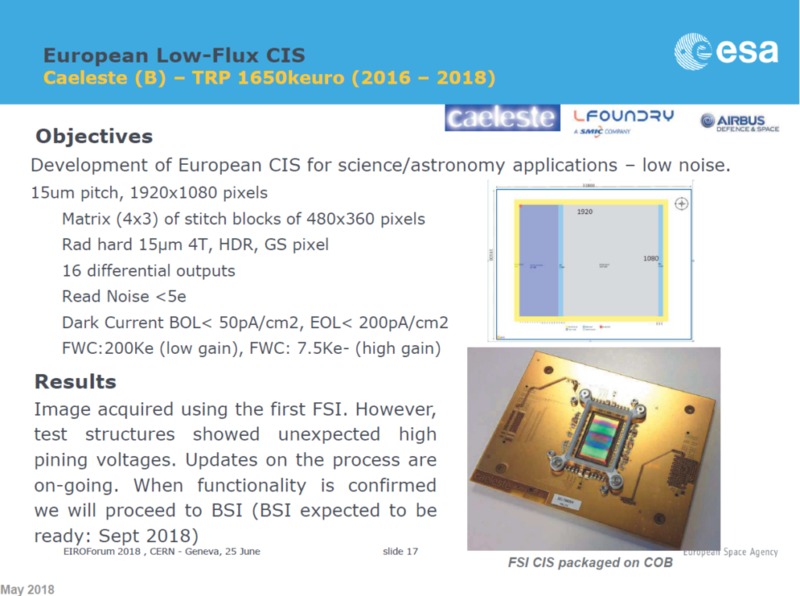 Caeleste was since its creation involved in several long-term developments in the European Space Agency context. 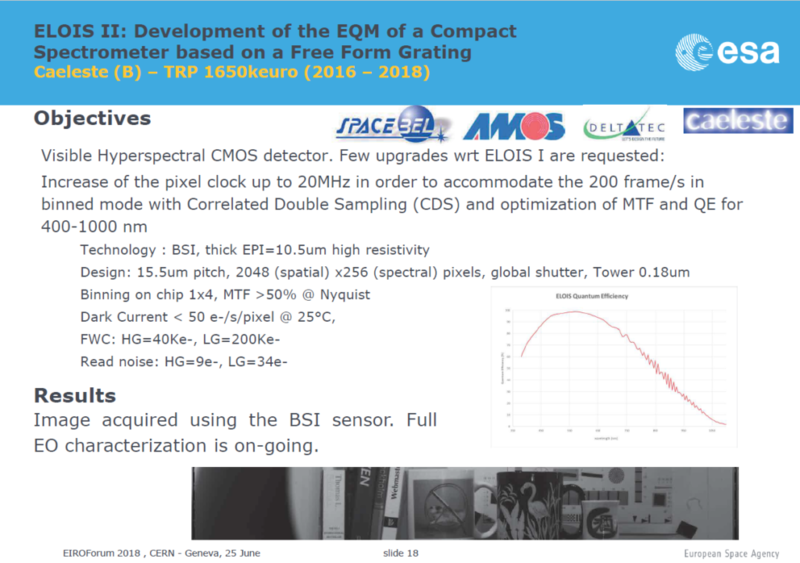 As an illustration find below the recent ESA presentation “CMOS Image Sensor developments supported by the European Space Agency”, by K. Minoglou, at the 2018 EIROForum Topical Workshop. 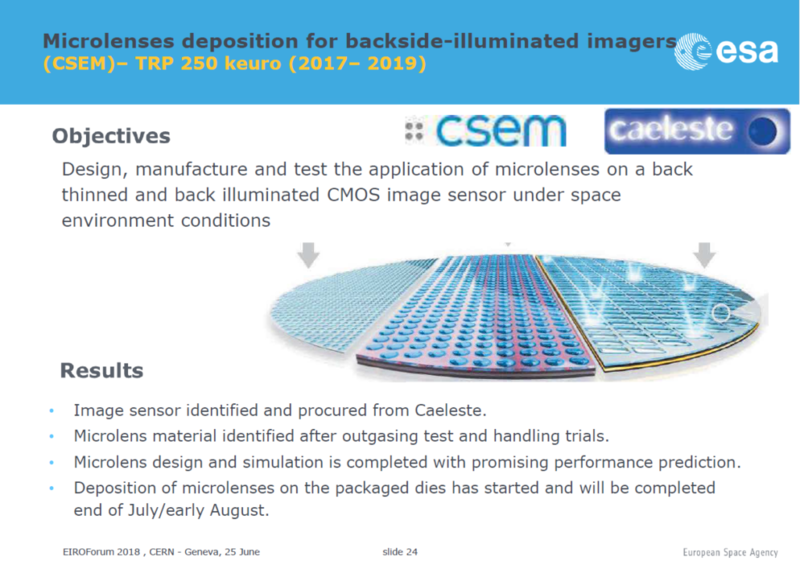 Several Caeleste collaborations are explicitly mentioned. Find the original slide show here.